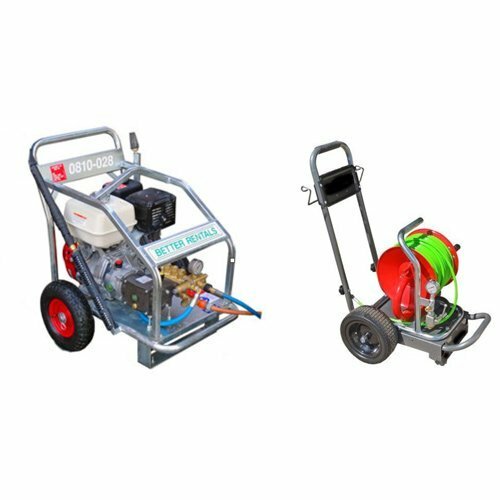 Powerful petrol powered pressure cleaner hire – and accessories to make your cleaning job simple. Hire a powerful 3000psi (as effective as 4000psi with the roto lance) water blaster for all heavy duty jobs. From telescopic wands to get up really high to whirlaway hire that will clean huge areas quickly – and more. 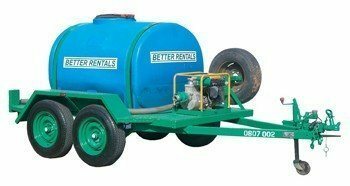 Why Hire a Pressure Cleaner from us? We recommend the right pressure cleaner – not the most expensive. 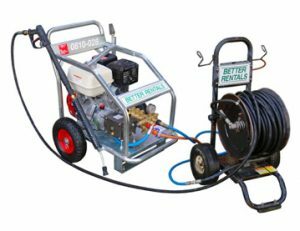 Cold 300psi water blaster includes 30m hose, power heads and a Free tank of fuel. Diesel powered hot wash for cleaning grease and oil. * Garden Hose to get the water from the tap to the water blaster. * 30m of high pressure hose so you don’t need to drag the machine around. * Fan nozzle for regular cleaning (won’t damage new concrete). * Roto Nozzle – increases effective pressure to 4000psi. * Free tank of fuel included with your hire. * Damage Waiver – reasonable conditions apply. But don’t take our word for it. Here’s what a real live customer said about us. 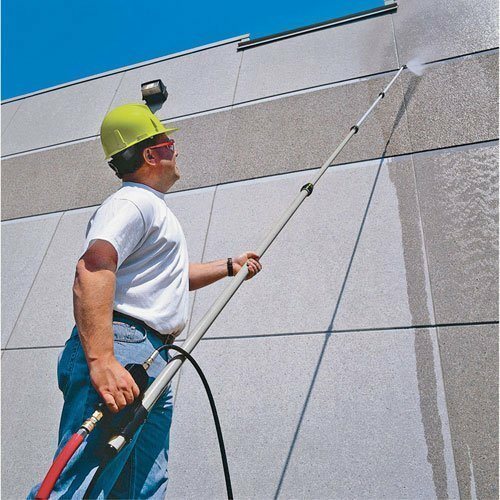 Pressure washers are dangerous if not used correctly (don’t point at a person or animal at all – high pressure washers can damage the skin and not only eyes and ears) and so there are rules and regulations about using a 4000psi pressure cleaner – particularly on job sites. So – we offer a Roto Nozzle which increase the cleaning ability of the pressure washer to the same as a 4000psi – but without the same “actual” pressure. It isn’t just “getting past the rules” on a technicality – it really is lower pressure and so is safer. Clean high places with your feet safely on the ground with a telescopic lance (or telewand) for a pressure cleaner. 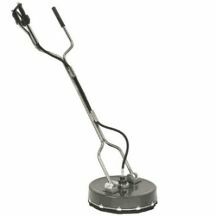 500mm Rotary floor cleaner - or whirlaway - to make cleaning pavers and floors over large areas (even a tennis court) easy.